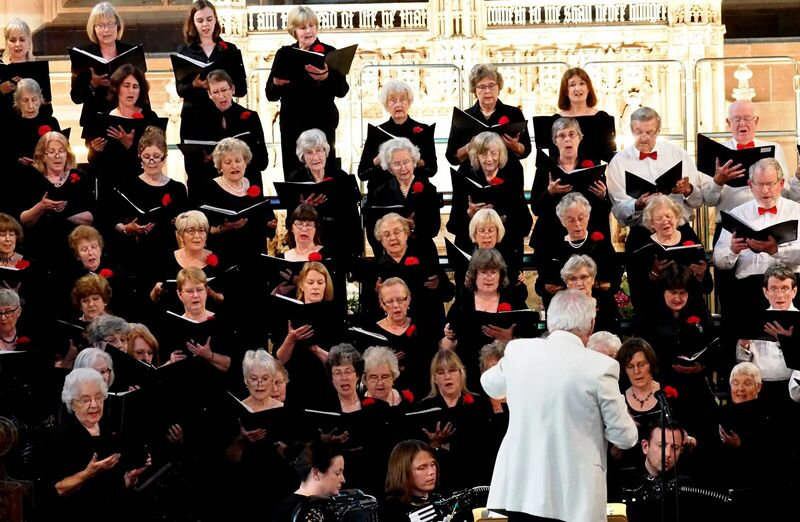 Hertford Choral Society is a friendly community based choir with a wide range of abilities and tastes, performing a variety of musical styles so that there is something to meet everyone's taste. There are no auditions and the standard of music that we produce is consistently high. We are regularly supported by high quality professional soloists and orchestras with the result that we produce highly enjoyable and satisfying concerts for audience and singers alike. We believe that anyone who enjoys singing should be able to experience the fun of making music with other people. All we ask is enthusiasm and a willingness to join in! Whilst in all parts of the choir we have some excellent singers, capable and willing to perform solo or in small groups this is not a requirement for joining. Typically we perform four concerts each season and rehearsals are held each Tuesday evening during school term-time at the Sele School in Hertford. Other regular choir activities include workshops and an exciting variety of social events. We have also produced our own CDs and are due to record another one in June 2016 New members are always welcomed with no auditions and no requirement to read music. We will provide all the support and encouragement you need.